Introducing RAK Properties eServices Portal. Now you can view and pay your Master Community Fee, Utilities bill, request for services and manage your properties online, all at your fingertips! customer-service@rakproperties.net from a registered email. Community Rules are for the safety and security of the residents and visitors. These rules offer a safe, secure and serene environment in which all families, children, neighbours and guests can maximize the comfort. Full adherence to these Community Rules will maintain, preserve, enhance and protect the property values and assets of the Community for you and for us. For any queries, contact us on +971 7 233 7133 from Sundays through Thursdays between 07:30 A.M. to 03:30 P.M. Alternatively, please write to customer-service@rakproperties.net from a registered email. 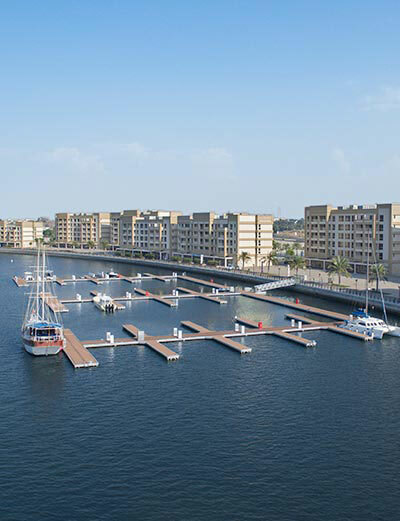 All you need to know before deciding to make any additions or alterations to units in Mina Al Arab. The purpose of Mina Al Arab Architectural Guidelines is to formalize homeowners with the objectives, scope and application of design standards intended to maintain the aesthetic, appearance of the entire community for all residents. The Architectural Guidelines will apply in assessing all proposals for any villa or apartment within the Community. it’s will also apply in assessing the modifications that were done before issuing the Architectural Guidelines. These guidelines are applicable in conjunction with the Community Rules. Please visit eServices for more information. Our team of professional and committed leasing agents are at your service to offer you all the help and support you need. If you are interested to lease a residential, commercial or retail property/unit within the impressive portfolio of RAK Properties in the Emirates of Ras Al Khaimah, our agents are with you on your every step. 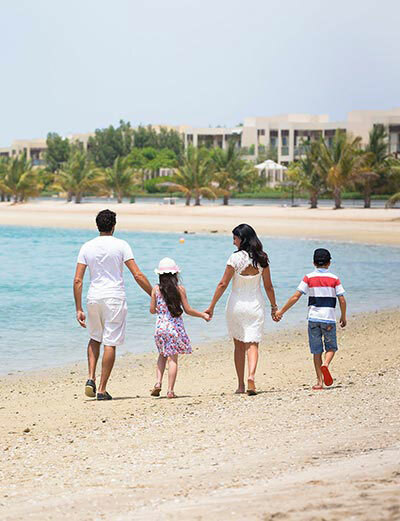 For a quick chat, please call us at +971 7 233 71333, an agent will be happy to direct your call as needed. You may also contact us by writing at customer-service@rakproperties.net; our team will be intouch with you as soon as possible. Al Hilal Bank (ATM) ATM Building 18 N.A. The RAK Properties Customer Happiness Centre is open from Sundays through Thursdays from 07:30 A.M. to 03:30 P.M.
Do you have 24 hours security? And is there a 24-hour hotline number? Yes, there is a 24/7 security at the Gates and within the Community; should you require emergency maintenance related assistance after business hours, please contact our Security Advocates on +971 50 627 5842. How can I reach you after working hours? For generic and corporate enquiry, please write to customer-service@rakproperties.net. Should you require emergency assistance after business hours, please contact our Service Advocates on +971 50 627 5842. I have been contacted by a representative from RAK Properties for document submission, however I’m unable to make it to your offices during your working hours. We do not offer collection service, however, depending on the complexity and urgency of the transaction, we will be happy to make an exception. Please log a prior request through eServices, alternatively, contact our Customer Happiness Centre on +97172337133 from Sundays through Thursdays from 07:30 A.M. to 03:30 P.M.
My address/contact number has changed. How can I update it? Please log a prior request through eServices, alternatively, contact our Customer Happiness Centre on +97172337133 from Sundays through Thursdays from 07:30 A.M. to 03:30 P.M. Alternatively, please write to customer-service@rakproperties.net from a registered email. I need to view a list of all dues against my account. Where can I assess the information from? All dues related to utilities consumption, payments (dues and overdues); applicable fees, charges etc. can be accessed through “My Dashboard” via the eServices portal. I have an overdue payment that I need to settle. Who can I approach? Payment related requests and enquires can be viewed at eServices portal. Alternatively, you can call our Customer Happiness Centre on +97172337133 during our office hours. For after office hours enquiry, please write to customer-service@rakproperties.net. When will you bank my post-dated cheque? Payments through cheques are presented and processed on the date mentioned on the cheque. You are requested to ensure availability of sufficient funds for successful processing and clearance of the transaction. The cheque presented as payment towards my instalment is bounced. Will I be charged a penalty fees? Yes, the penalty/fee for every returned cheque is AED 500 (excluding bank charges, late fee charges and applicable VAT). I have been told that there are outstanding dues for utility consumption for my unit. What should I do? You may settle your dues by visiting RAK properties Customer Happiness Centre located on 40th floor of Julphar Commercial Tower and pay by cash (Maximum AED40,000), credit card and cheque. Alternatively, payment transaction for utilities and all other dues can be processed through the eServices portal or bank transfers. Please click on the below link for any further information. I have a family event that I need to plan and need assistance, whom should I contact? Event related request and enquires can be logged at eServices. Alternatively, you can call our Customer Happiness Centre on +97172337133 during our office hours. For after office hours enquiry, please write to customer-service@rakproperties.net. I need more information on amenities of the community. Where can I get the information from? Please access information on community amenities available at the “Amenities” section of our community website. I have special request for elderly person and require assistance. Who shall I contact? Can I reserve/book “Green and Open Areas” in the community? 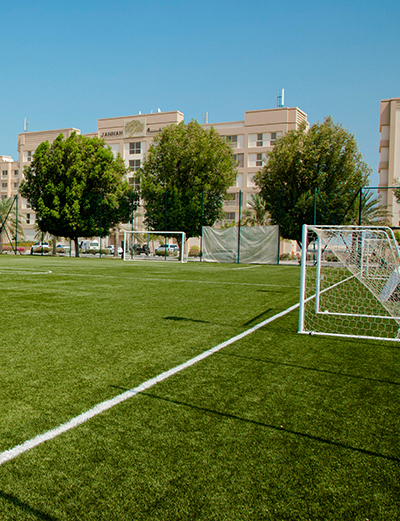 Green and Open Areas are part of the common facilities; special request for its use should be sought from RAK Properties. Please log your request by contacting contact our Customer Happiness Centre on +97172337133 from Sundays through Thursdays from 07:30 A.M. to 03:30 P.M. alternatively please write to customer-service@rakproperties.net. Important: Residents may submit their request via eServices . Is my unit and its contents insured? Where can I get more information from? Your community is insured for accidental, physical loss, damage or destruction to the common property. For more information of the perils covered in the community, please contact the Customer Happiness Centre. We highly recommend that you obtain an insurance policy to cover your private/leased unit(s) and its contents. Please note that community insurance coverage excludes loss or damage to homeowner’s/tenant’s private plot, villa and personal belongings. For more information, please refer to Community Rules. Should I inform anyone in the event I am renting my villa/unit for a long/short period? Our community is governed by Community Rules that are very specific to such requests, considering it as special and exceptional. 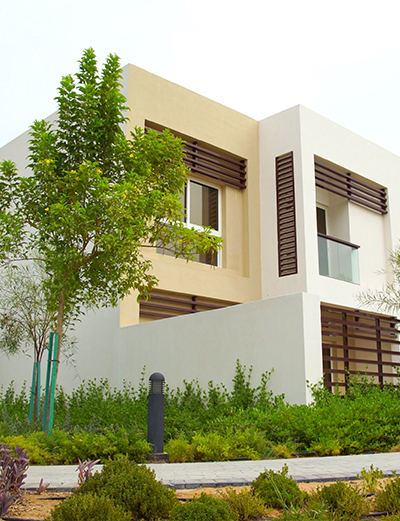 Please refer to RAK Land Department for specific approvals, applicable laws and associated procedures. Additionally, any such requests and events should be notified to Customer Happiness Centre and should be fully complied with the Land Department Laws. Do I need to apply for Move-In and Move-out permit? Yes, residents must apply for the permit before moving in/moving out of the property via the eServices portal. Important: Master community fee, utility charges and other dues should be cleared in full before logging a request. What is a violation and how is it notified? A violation is a breach or non-compliance to rules/regulations/procedures or set of rules/regulations/procedures as listed in the Community Rules. A notice is a formal citation of a breach and/or non-compliance incident that violates the Community Rules. For more information of type of violation and associated penalties/fine, please refer to the Community Rules. What action should I take in the event I have received a notice of violation? You are required to act as specified in the Notice of Violation within the time frame and ensure it is not repeated. For more information, please contact the Customer Happiness Centre. Do I need any approval before carrying out alteration or improvements to the exterior of my house? Yes, please log into eServices to apply online. It requires a review from the Design Department. Do I need approval before carrying out alteration or improvements to the interior of my house? Any major alteration (non-maintenance request) within the unit needs prior review and approval of RAK Properties as set out in the Architectural Guidelines. Please refer to Architectural Guidelines for more information. I have hired a service provider to do maintenance (painting/repairs) in my villa/apartment, do I need prior approval? What is the procedure? Important: No additional permission is required for paint, repairs and maintenance related jobs, provided the design plan and specifications are followed with no alterations/enhancements. How long will it take to obtain approvals for the alterations or home improvements? Generally, the turnaround time for approval is approximately between 5 to 10 working days. Are there any fee/charges to review proposal for alterations or home improvement? Yes, we levy a service fee of AED 500 (excluding VAT) for review of proposals. Can I decorate my house with decorative holiday lighting? Temporary holiday or festival lighting is permitted in individual Households during Eid and other festive and national holidays. Flashing decorative lights, or lighting that creates glare visible from outside the Property is not permitted. Permitted decorative lighting for holidays and celebrations may be installed and illuminated ten (10) days before the holiday or celebration and must be removed not later than ten (10) days after the holiday or celebration. Can I keep any recreational item/equipment within my house? Yes, any outdoor recreational equipment’s within the homeowner property are generally accepted provided the item does not block or occupy the sidewalk/Common Areas. Any item breaching the Community Rules will be confiscated and may lead to formal Notice of Violation. Can I keep quad bikes and golf carts? Yes, they must be stored within the garage of your house. Am I allowed to keep pets? You are not permitted to keep any undomesticated animals as pets. Please refer to section 3.4 of Community Rules for more information and further guidance. Am I allowed to install a pet kennel? Yes, you may install a kennel in the rear portion of the villa or the side yard areas ensuring full compliance to safely regulation. How can I report pet related nuisance and disturbance within the community? You may contact our Security Advocates on +971 50 627 5842. Please feel free to contact local authorities to escalate any major incidents requiring immediate assistance by contacting RAK Police at their number by dialling 999. How can I report nuisance from my neighbour pet or violations incident within the community? You may contact our Security Advocates on +971 50 627 5842. Please feel free to contact local authorities to escalate any major incidents requiring immediate assistance by contacting RAK Municipality at +971 7 246 6666. Important: For any issues related to pet fouling (waste), please log your complaint by contacting Customer Happiness Centre between Sundays to Thursdays from 7:30 A.M. to 3:30 P.M. Alternatively, please write to customer-service@rakproperties.net. How do I dispose of my garbage? For villa: Please use designated wheelie bins placed outside of your villa. For apartments: please use Garbage Room to dispose of your garbage through the chute. For exceptionally large/bulky household items disposal, please contact RAK Municipality at +971 7 246 6666 (this service may be chargeable). Are there environmental initiatives taken within the community? RAK Properties participates in environmental protection initiatives in partnership with RAK Waste Management Agency. Please click on the below link for any further information. How can I log and track maintenance related request? Maintenance related request can be logged through the eServices portal. All existing request(s) can be viewed under the “My Dashboard’ section. Should you require emergency maintenance related assistance after business hours, please contact our Service Advocates on +97150 627 5842.
Who is responsible for maintenance/landscaping of my garden? Homeowner/tenant is responsible for the maintenance and upkeeping of the landscape within the units (excluding common areas). Please refer to Community Rules section 6.1. for further information on maintaining your landscape. How can I report any repair/maintenance in the common areas? Please log your request by contacting Customer Happiness Centre between Sundays to Thursdays from 7:30 A.M.to 3:30 P.M. or alternatively write to customer-service@rakproperties.net. Whom do I need to contact for the repair and maintenance inside my villa/unit? Homeowners/tenants are responsible for the repair and maintenance inside of their villas/units except to those owned and leased by RAK Properties. You can log your request as Handyman service to Customer Happiness Centre between Sundays to Thursday from 7:30a.m. to 3:30p.m. or alternatively write to customer-service@rakproperties.net. All rights reserved 2019 RAK Properties. RAK Properties is the Master Developer of Mina Al Arab.